Watch out Utrecht! 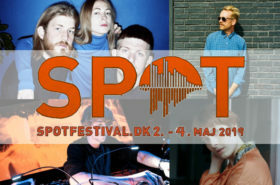 After the Danish festival season has just been set on fire with the fabulous SPOT Festival in the charming town of Aarhus, it’s now Utrecht’s turn to spread some Danish tunes. 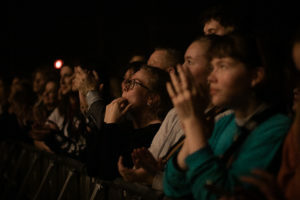 The university town close to Amsterdam will be the host for three Danish artists celebrating Danish music with an event called Nordic Delight Danish Night. The night featuring Søren Juul, Lowly and Hess is More will be held at local venue EKKO. Danish music lovers can look forward to Søren Juul (formerly Indians) who is well known for his folk-like, post-rock-attitude ballads. As quite typical Danish singer and composer he will spread the Danish feeling right when entering EKKO’s stage. 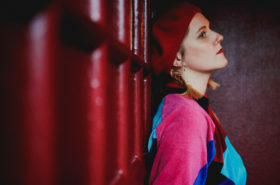 Second highlight at the Nordic Delight Danish Night will be the Aarhus based band Lowly. The five piece band is currently writing and recording their debut album which will be a must-hear as soon as it is launched. Their thrilling noise-pop sound will make you move your feet – be aware! The third Danish delight will be Hess is More. With its seven members the band is often rather puzzling and unorthodox, nevertheless catchy. Be prepared – their chant-like melodies might be following you over and over during the next days. As it will be their first time in the Netherlands you can expect that they will turn their show into an extra special one. So – Utrecht, now better get ready for a night full of Danish craziness and all other Danish music fans close to Utrecht, better get your tickets and head over to Nordic Delight Danish Nights at EKKO! 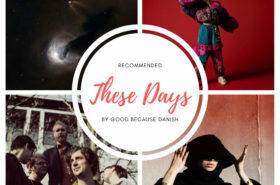 You find more information here, and listen to the invited acts on our little SoundCloud playlist to get in the right mood for the Danish night!